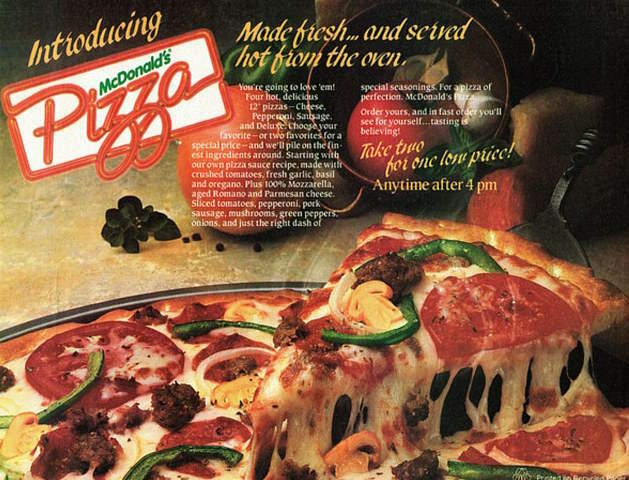 You might remember (or simply choose not to) the short lived pizza that McDonald’s had back in 1989. Everyone was pretty damn excited about the prospect of it, but after a decade of struggling to shift the pies (mainly because of the 11 minute cooking time), the concept was scrapped and discontinued in many branches by 2000. 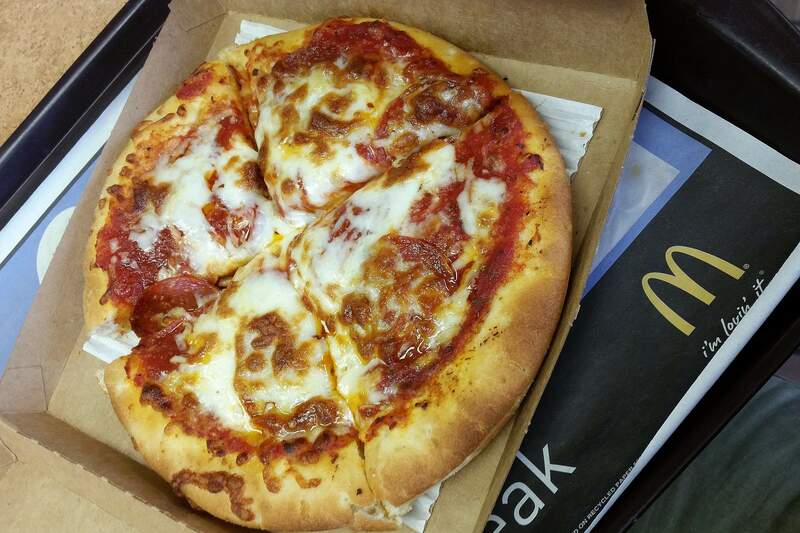 We just assumed that the McPizza was extinct, but oh no, it really isn’t. Now we know that there is still actually two restaurants in the U.S that still actually serve them. Mind blown. If you wanted to take a trip down memory lane, you can visit the McDonald’s in Spencer, West Virginia or the one in Pomeroy, Ohio. Not only that, but their customers can even customise their pizzas with a range of toppings, including; pepperoni; sausage; mushrooms; onions and green peppers. And the good news is they won’t even set you back much either. Individual pizzas are just $3 (£2.11) rising to $6 (£4.23) for a family sized offering. However, before you get excited that maybe it’s due a comeback anytime soon, the fast-food giant have quashed any such rumours saying, ‘there are no current plans to expand this regional offering nationally’. For the rest of us, it looks like we’re sticking with Dominos.